A natural hazard is a threat of a naturally occurring event that will have a negative effect on people or the environment. Many natural hazards are interrelated, e.g. earthquakes can cause tsunamis. An earthquake (also known as a tremor or temblor) is the result of a sudden release of energy in the Earth's crust that creates seismic waves. Earthquakes are recorded with a seismometer, also known as a seismograph. 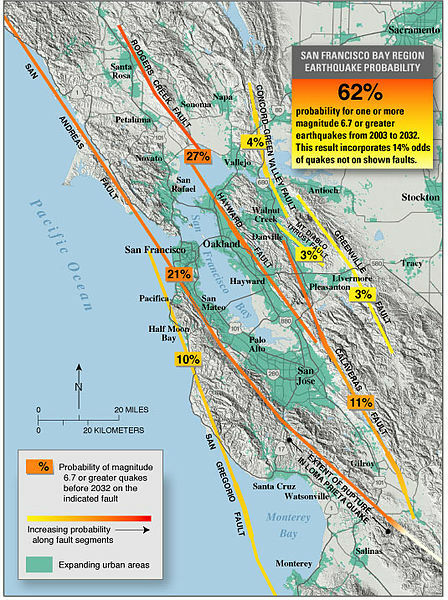 The moment magnitude (or the related and mostly obsolete Richter magnitude) of an earthquake is conventionally reported, with magnitude 3 or lower earthquakes being mostly imperceptible and magnitude 7 causing serious damage over large areas. 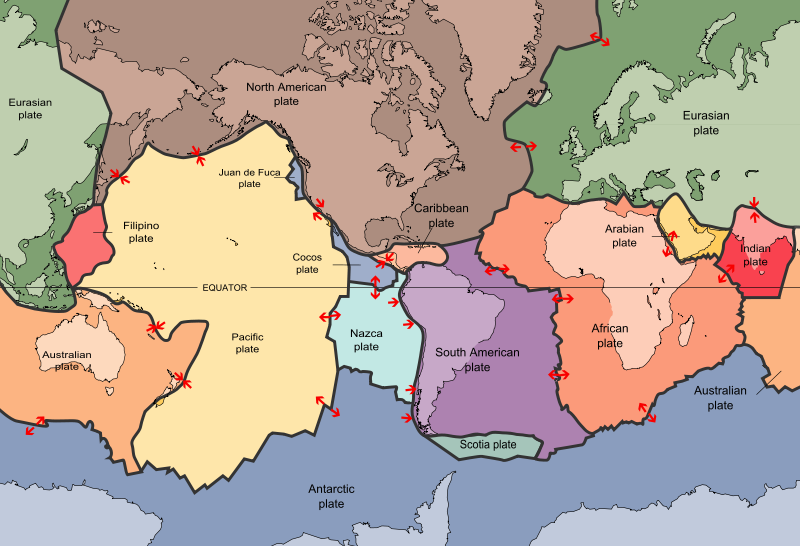 Ordinarily, subduction earthquakes under magnitude 7.5 on the Richter scale do not cause tsunamis, although some instances of this have been recorded. Most destructive tsunamis are caused by earthquakes of magnitude 7.5 or more. For more information about earthquakes visit the USGS website. Anything that rapidly displaces a large volume of water can cause a tsunami. Typically, tsunamis are caused by underwater earthquakes, but landslides, volcanic eruptions, calving icebergs, and (very rarely) meteorite impacts can also generate tsunamis. These types of events can cause large disturbances in the surface of the ocean, and when gravity pulls the water back down, the tsunami is born. The original Japanese term literally translates as "harbor wave." International Tsunami Information Center (ITIC) - Collocated with Pacific Region Headquarters, ITIC coordinates the efforts to extend the services of the national tsunami warning system of the United States to the international community in the Pacific basin.